This is particularly relevant for the policies addressing, or influenced by, migration and demographic changes: a key strategic area for the future of Europeans. Evidence in this domain is often conflicting, confusing and controversial, which can further complicate the challenging policymaking process. To address these challenges, the European Commission’s Joint Research Centre, together with INGSA and the Slovak Academy of Sciences, is organising a third Evidence and Policy Summer School – a professional training during which policymakers and scientists meet each other and together develop skills in using evidence for creating robust policy solutions. 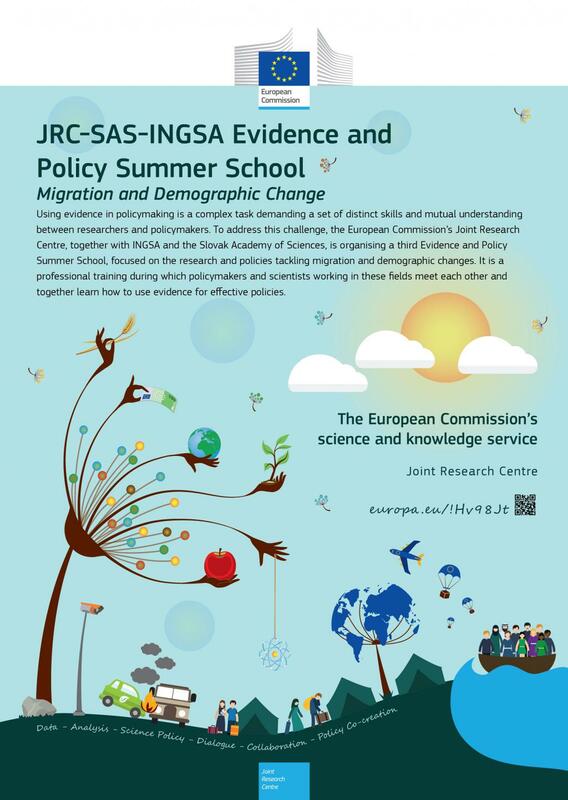 The policy topic of migration and demographic change will give participants common background, but we will not present either the latest science or specific policy solutions in this domain. The objective rests on developing capacities in procuring, producing and using relevant evidence. This year, we will meet in Slovakia with policymakers and scientists from Central and Eastern Europe and selected EU neighbouring countries. The programme is carefully co-designed with the Knowledge Centre on Migration and Demography, in order to meet the specific needs of scientists and policymakers working in this thematic and regional area. Concept note and draft programme will be available soon. You can register as a member in the Evidence for Policy Community of Practice to receive an email updates of future events. More information will also be available via the EU Science Hub Twitter account.